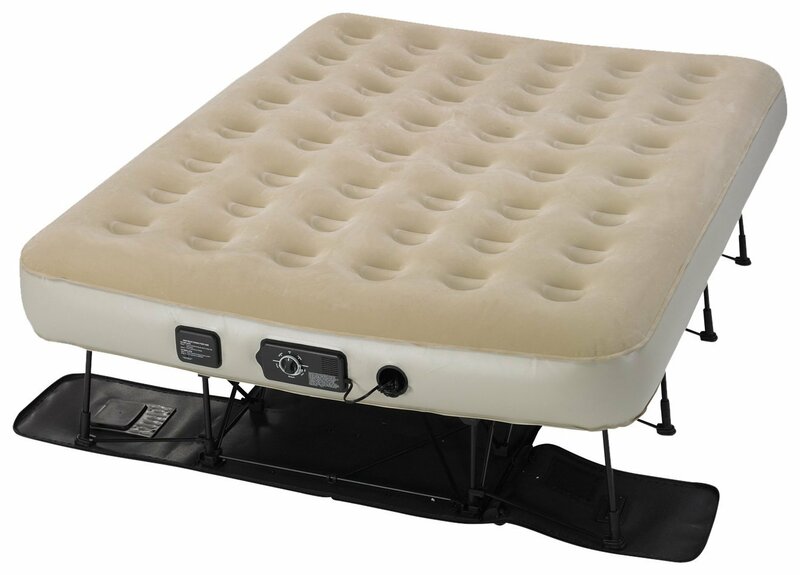 This double pump airbed is both comfortable and convenient as it can be taken anywhere you want. Now you don’t have to commit the guest bedroom with an actual mattress set when family and friend’s come over to stay. A major problem with typical airbeds is that they are made from PVC that stretches when it gets too warm. This contributes to the mattress losing air and sagging by the morning. 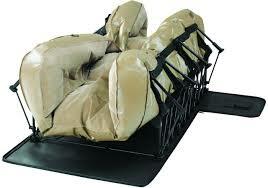 The double pump airbed will not sag as it’s able to maintain the pressure throughout the night. This is achieved by having two pumps. The primary pump is in charge of inflating/deflating the mattress. Additionally, it controls the comfort setting, whether someone wants a plush, medium, or firm mattress. These settings can be adjusted throughout the night. The secondary pump continuously monitors the pressure within the mattress and silently turns on/off to maintain the desired comfort level. Another added bonus of the airbed is the 48 circular coils that make the surface of the bed much more comfortable to sleep on. It comes in twin, queen, and even a king size bed. The frame is self-deploying so the setup is super easy. When no longer needed, it can also deflate at the push of a button. The airbed will collapse and you will just need to zip up the duffel and that is it. Air mattresses are super convenient as one doesn’t have to commit a particular space in the home for a permanent mattress. However, one major downfall of all air mattresses is that they deflate throughout the night which make it very uncomfortable to use. Having the double pump air mattress seems to make a lot of sense. Now one can have it all…the convenience of being able to set up an air mattress wherever they want and the comfortableness of a long last air mattress. It also looks very different than ordinary air mattresses, which makes it a great conversation topic with your guests.